"“Lauren is an excellent realtor. She provides her clients with exceptional knowledge & service. 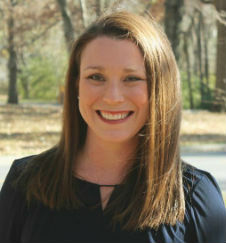 I would highly recommend Lauren.” March 13, 2007"
“Lauren is an asset to have on my team. She works with clients to ensure that they are satisfied, while providing them with outstanding service. She promptly returns phone calls to both propsective clients and sellers to enable deals to be completed in a timely manner. When she has questions she follows through providing answers and solutions. Her outgoing personality makes her easy to work with.” March 16, 2007"
"“I've worked with Lauren doing termite inspections for her clients. Lauren handles herself in a prompt, proffessinal manner. If I were to need her services or new of anyone buying or selling I would highly reccomend.” March 14, 2007"
"“Lauren Is very personable and sharp. She is the type of person that you fill right at ease with! I can't say enough great things about her...she makes things happen. Teri Lowery Flashes Photography” November 11, 2008"
"“Lauren is knowledgable in every aspect of buying and selling real estate. She is energetic, friendly, and a very hard worker. Always available, and reacts appropriately and diligently to any question or any request she is presented with. We would highly recommend Lauren (and we have) again, and again. Any time we are in need of realty services, we will always look for Lauren first. We are very happy with the quick and efficient way she sold our home, and also in her diligent effort in finding our new home.” April 11, 2007"
"“I've used Lauren on 5 transactions now, and am always impressed at her attention to detail, thoughtfulness, and quick response times. She has always done her utmost to make transactions seamless, and I would recommend her highly to anyone.” April 2, 2007"
"“I have had the pleasure of working with Lauren for the past 7 yrs. She is very diligent and knowledgeable. Our mutual clients are very comfortable and confident buying & selling their home with Lauren.” July 5, 2011"
"“I would highly recommend Lauren Wasson-Schmidt to anyone interested in real estate, whether selling or buying a home. She is extremely knowledgeable in the market and continues to educate herself consistently with market trends. Her commitment to quality and customer service are outstanding and well above average. Lauren has an upbeat and positive attitude with attracts everyone to her, including her colleagues at RE/MAX State Line.” April 16, 2007"